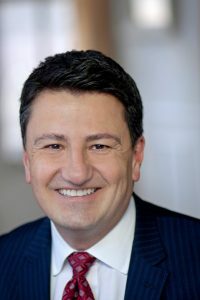 New York native, Stephen “Steve” Brown is Co-Founder, President & CEO of Perennial Resources International (PRI), a full-service boutique Executive Search Firm located in the heart of Manhattan, where he is operating partner of the Finance, Technology, and Consulting Practices, and leads the Human Capital business. Steve’s 20+ years of search experience span from his early years as a keen researcher/sourcing specialist, to his later years as a recruiter, trainer, coach, full-fledged search professional, and business owner. The turning-point in his career came in 1999, when he was named Managing Director of his then employer — a well-known Wall Street search firm. From then on, Steve has cultivated the most comprehensive candidate roster and has fostered the most exclusive client relationships in the world of HR, predominantly within the financial services industry. His personal approach to relationship-building, thorough due-diligence, timely execution, and delivery are among the traits that set him apart from his competitors, and what keeps candidates and clients loyal to him time and time again. Kevin Schwesinger is the Managing Partner of PRI Technology where he is responsible for overseeing the technology practice of this prominent staffing firm. Kevin has over twenty years of success in the Information Technology industry specializing in staff augmentation and executive search, staffing plans, talent evaluation, management relations and solutions delivery. He built his career on the premise that all associates of his organization should be dedicated to total customer service for both clients and consultants, and this carries forward today at PRI Technology. Prior to leading PRI Technology, Kevin served as Vice President of Technology Resource Management for over twelve years. He also held previous leadership roles inside Tribase Systems/Intellimark and Ameridata. 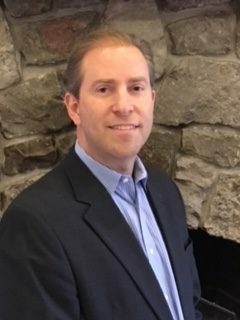 Kevin also serves on the Board of Directors for the Society for Information Management’s (SIM) New Jersey Chapter in the capacity of Past President and Trustee. In this role, Kevin also guides the New Jersey SIM Foundation which focuses on assisting non-profit charities with their technology needs and which also provides scholarships for technology students in surrounding universities. Kevin has his Bachelor’s Degree in Business Administration and his MBA in Technology Management. He lives in New Jersey with his wife and three children. Bill Lewis was formerly the Chief Executive Officer and Chairman of the Board of Career Blazers; an integrated staffing and training organization comprising 180 field offices and 55 franchised, licensed, or company-owned learning centers. He is the author of 10 books with career themes, including How To Choose and Use Temporary Services and The Temp Worker’s Handbook (both published by the American Management Association), and Revising Your Resume (John Wiley & Sons). He is a past president of the New York Staffing Association (NYSA) and holds a B.A. in economics from the City College of New York. Joseph Kelly is a Founding Partner of several growing staffing firms. His extensive industry experience as an owner, investor, executive and search professional, has led to Joe’s founding, financing and growing various staffing and search firms. With a strong track record of completing successful acquisitions and divestitures, he has shaped and steered both larger and smaller firms. Joe focuses his time with clients, partners, day-to-day financial management, along with pursuing various strategic and growth initiatives. In addition to being repeatedly recognized by Staffing Industry Analysts and Inc. 5000 as one of the “fastest growing firms” in the staffing industry, Joe also advises various companies on accessing capital, structuring their business and creating plans towards realizing shareholder value. He is active in multiple portfolio companies and is always looking to invest in or develop additional staffing and search businesses.